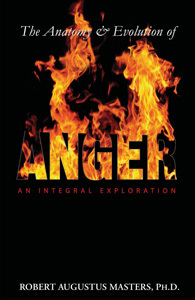 A state-of-the-art, interdisciplinary study of anger and how to work with it, in personal, transpersonal, and interpersonal contexts. Anger's anatomy, function, and evolution — from mere reactivity to wrathful compassion — are explored in great detail, as are four approaches to working with anger: Anger-In, Anger-Out, Mindfully-Held Anger, and Heart-Anger. Anger, contrary to much of popular opinion, is not necessarily the same as aggression. Aggression involves some form of attack, whereas anger may or may not. Aggression is devoid of compassion and vulnerability, but anger, however fiery its delivery might be or might have to be, can be part of an act of caring and vulnerability. Nevertheless, anger is too easily linked with aggression. Aggression is not so much an outcome of anger, as an avoidance of it and its frequently interpersonal nature and underlying feelings of woundedness and vulnerability. Viewing anger as necessarily being aggression — or even as the cause of aggression — gives us an excuse to classify it is a “lower” or “primitive” emotion. Or something far from spiritual. But anger is far from “primitive,” though what we do with it may be far from civilized. Rejected anger very easily mutates into aggression, whether active or passive, other-directed or inner-directed. Thus does a means of communication become a means of weaponry. Anger assigned to do injury, however subtly, is not really anger, but hostility. Anger that masks its own hurt and vulnerability is not really anger, but hardheartedness or hatred in the making, seeking not power with, but power over. But there is a potential healing here: to reverse the equation, to convert aggression, hostility, hardheartedness, hatred, and every other diseased offspring of mishandled anger back into anger. This conversion, however, does not mean eviscerating or drugging the energies of such negative states, but rather liberating them from their life-negating viewpoints, so that their intensity and passion can coexist with a caring, significantly awakened attention. In this sense, the world needs not less anger, but more. Especially anger coming from the heart. Where violence — the brass knuckles of neglected or abused wounds — tramples or dynamites boundaries, anger in many instances protects or guards boundaries, at best resolutely exposing and illuminating (or perhaps even flaming through) barriers to intimacy or integrity, without abusing the barrier-defender(s). As such, anger is moral fire. Anger that burns cleanly leaves no smoldering pockets of resentment or ill-will. Violence is not a result of anger, but rather is an abuse — or violation — of anger. Most months Robert sends out a newsletter, featuring his latest work offerings, plus an article by him.